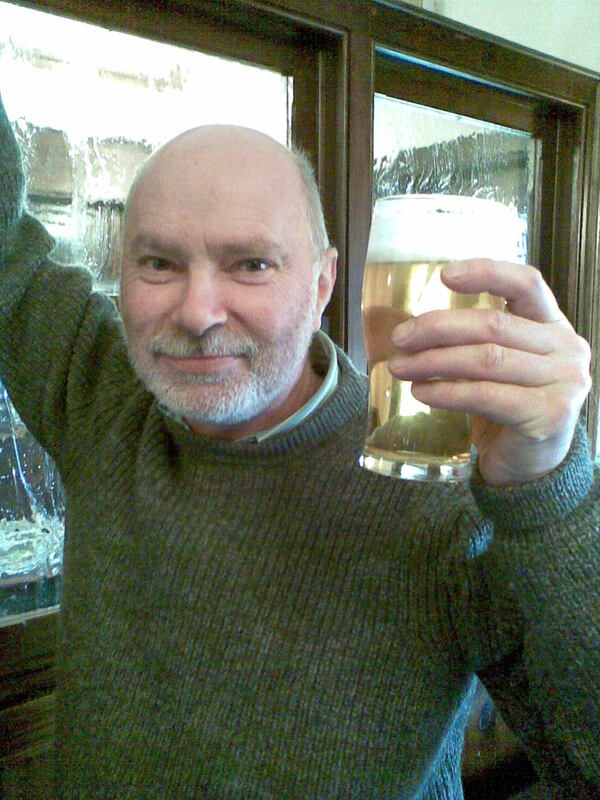 I was reading the comments on Dave Bailey's blog about beer duty and one comment by Dave himself said "There is an argument that says there are too many very small brewers who aren't very good." Curmudgeon replied "that's because of the smoking ban". No he didn't actually, but what he did say was this: "Yes, while it has helped good brewers, it has also brought too many half-arsed brewers into the industry" Stringer's Beer sharply retorted "These half-arsed brewers pointed up by Curmudgeon - who's buying (and drinking) their beer? Would that be half-arsed publicans and their half-arsed customers?" Now when we welcomed the explosion of micro brewers brought about by Progressive Beer Duty (PBD), did we imagine we'd end up with so many? Did we imagine them all to be good? Is it though just PBD that has caused this, or is it the loosening of the tie that we have also seen, leading to an increase of outlets than can take a wider variety of beer? Is the (apparent) view of free houses that you always need to have new beers on the bar a contributing factor and that some breweries,that many of us could name, exist solely it seems on the basis that they can get their beer in a pub, irrespective of quality, as long as it is cheap enough? For most small brewers - and I talk to quite a few of them - it is a dog eat dog situation of continual phoning of pubs, pleading with them to take beer, always at a discount. There is probably getting to be as many breweries now as the market will absorb - at least until the tie loosens further and tied house beer lists expand. Of course the other side of the coin is that there are small breweries making excellent beer that do not have to discount to a great extent, as their reputation is such that they can sell what they produce. Here we are talking the Dark Stars and Pictishes of this world, but for many it is a relentless slog of seeking customers against fellow strugglers trying to do the same. Are there half arsed breweries about? Of course there are. Why don't they go bust? Probably because they sell their beer so cheaply, to the same "half-arsed publicans and their half-arsed customers" that buy and drink down to a price. Dedicated pub goers like me and say, Tyson, have a list of breweries in our heads that screams "Avoid" when we see them. It isn't a small list. I named Hawkshead Windermere Pale as my best overall beer of 2011, but I wonder if that is so now. It is still the lovely easy quaffer with a complex hop bill that made me think so, but you know, last night I had a beer - not for the first time - that sent my senses reeling. Actually, if I'd had a couple more, it would have sent me reeling too. The beer is of course the one illustrated on the left. (It would have been perverse for it to be otherwise, though I did think of putting something else on to throw you off the scent for a couple of lines.) 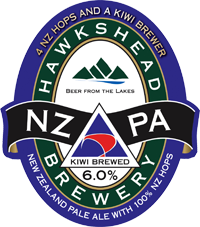 Hawkshead New Zealand Pale Ale is wonderful. It bursts on the palate with a cornucopia of tropical fruits, is bitter and citric and so very, very drinkable for its 6% abv. One isn't enough and three may just be too many, as it commands respect strengthwise, though the alcohol is cunningly disguised. If ever a beer could be described as dangerously drinkable, this it it. So will I change my mind? No. But you know, in a sneaking way I want to. It knocks Jaipur, especially in its current sugar sweet, enfeebled state into a cocked hat. Is a List a Guide? 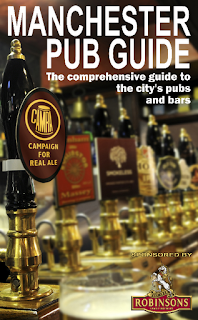 The Manchester Pub Guide produced by CAMRA in Greater Manchester is a handy book listing all of the pubs selling real ale in the City Centre and a couple of districts beyond. It is split up by area and there isn't a lot by way of editorial, rather, the reader - user if you like - is left to make up his or her mind from the pub descriptions. 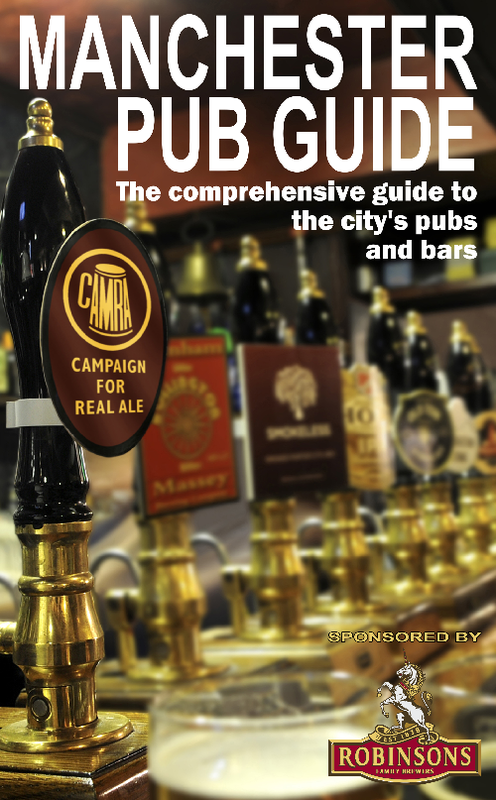 Typical CAMRA guide you might say. Give 'em the info and then let them get on with it. Fair enough? Certainly Rhys Jones, that doyen of many a CAMRA book review thinks so - and why not? In Stockport and South Manchester's Opening Times, he summarises by saying it is "an accomplished and professional volume with little to criticise". The reviewer in Manchester Confidential toook a different tack. His thoughts are more along the lines that the book should provide recommendations rather than just descriptions. The reviewer, Charlie Butterworth says, "The authors should have been more discriminating. Some inclusions should have no place in this guide. 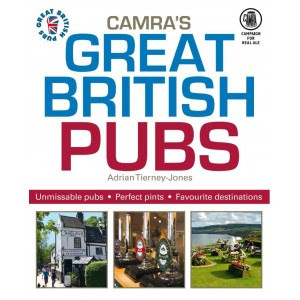 For some places it's best to hire armed guards before venturing in......there's a lack of judgement in some of the choices that is worrying.It appears pubs and bars are included simply because they sell real ale not if they're any good as a pub." Well yes. There's the nub of it. Do you produce a comprehensive list and leave the reader to get on with it by exercising his judgemnent, or do you, as Manchester Confidential thinks, produce a book of recommended pubs with its attendant difficulties of what you put in and what you leave out? There's a certain degree of missing the point in the Manchester Confidential article which one might think wilful until you read what Charlie has to say. I particularly liked this comment " For instance if I said to my Manchester ale-drinking mates, "Do you want to go for a few in the Lloyds in the Printworks?" they'd think I was already pissed." It's great knockabout stuff, but there is a serious point. Do you prefer a comprehensive list, or do you want to be guided? Clearly Charlie prefers the latter. Is"guide" the correct title? What do you prefer? I was out delivering our CAMRA Branch magazine (which I edit) today. As always I try and have a quick word with the licensee, just to see how things are. 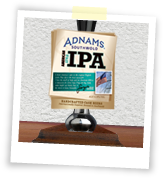 Maybe its different elsewhere or maybe we just have a better relationship with ours, but I always find them keen to talk to CAMRA. 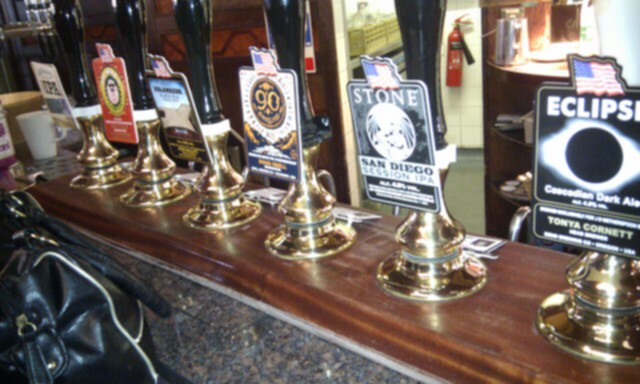 At one pub the licensee was bemoaning his limited cask guest beer list - a common complaint. He was also denied for reasons of which he was unsure, to a more wide ranging list which the PubCo also runs. I cooed sympathetically and asked "Is it Enterprise?" - as it usually is in such cases. "No" quoth he, I wish it was. 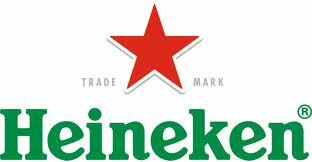 It's Heineken. Bastards!". The licensee also tells me things have got a lot worse since they took over from Scottish and Newcastle. So there. Enterprise aren't, in some eyes at least, as bad as Heineken. That should cheer old Tough Ted Tuppen up. For all PubCos say about how things are much better for their tenants, I can tell you that's not what they tell me. At least the pub was busy when I called at lunchtime, so that's something. 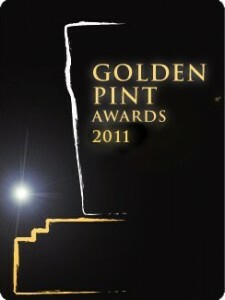 It is Golden Pints time again where we choose under a number of categories our favourites and runners up. I'm at a disadvantage here though. I don't tick, I don't buy fancy beers, I don't visit independent retailers to purchase said exotics etc. etc. But you know, even though I may not be the best person to ask, I can give it a go. So here we are. Winners and runners up and maybe the odd honourable mention. What can you say about Windermere Pale? It has everything I want in a beer. Sheer swoopability, clean, great taste, loads of hops and you don't fall over after a few. Brilliant stuff. Osset Citra was by far the best of the Citras that dominated for a while. Well crafted beer from a great brewery and that lovely smack of Citra. 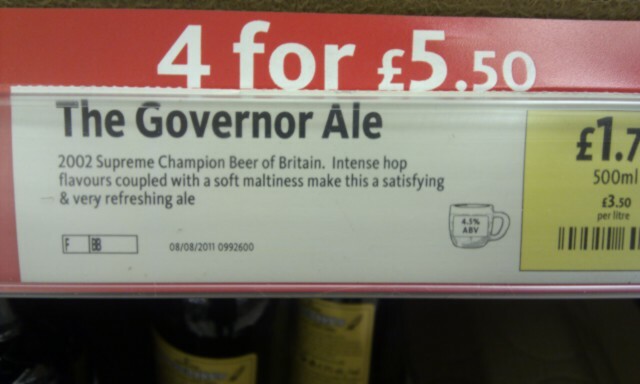 The 1516 version of Hop Devil was stunning, with booming C hops, great body and sheer beery enjoyment. It achieved rare drinkability for such a strong beer. Spezial is pale, blond, bitter, full bodied and at 5.6%, far too easy to drink. Both beers drunk at the brewery taps. 1516 Brewing, Vienna. Runner Up: Augustiner, Munich. Again it is that drinkability thing, though it always reminds me of good times and that's worth a lot. 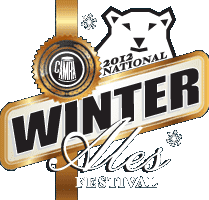 National Winter Ales, of course. 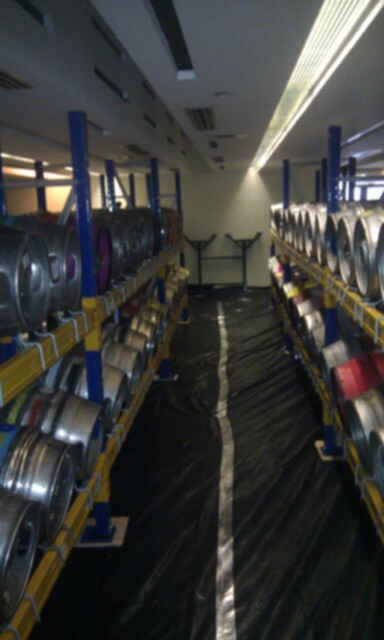 Runner Up: GBBF of course. Winner: Pete Brown. Independent and personal boxes ticked and he writes so well, wears his heart on his sleeve and talks (mostly) sense. Runner Up: (Joint) Boak and Bailey. They don't say much, but somehow you like them just the same and they are independent and personal. Reluctant Scooper: Independent, personal and so well written. Honourable mention: Stuart Howe. Brewing at the Sharp End. In case you didn't notice. I like independent and personal blogs. Blogs that reflect the likes and dislikes of the writer. And Boak and Bailey. Simon Johnson of course. Nobody in the same league is there? Runner Up: Stringers Beer. Does he actually have time to brew? Now it is time I went for a drink. 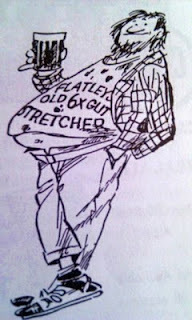 I attended my last National Winter Ales Organising Committee Meeting on Saturday. Last this festival I mean. Almost everything is arranged. Last minute snags were identified and decisions were made and we are good to go - though of course there will be more last minute hitches and more decisions needed. I spent quite a lot of time last week doing a tortuous risk assessment for Greater Manchester Police and updating our internal stuff. Others have sweated over beer orders, cider orders, what we need from HQ stores, what we have to buy locally, how we will steward the event, advertise it, get sponsorship, print tickets, discuss and agree food availability, order glasses, design signs, design the programme, order transport for goods and staff, sign up staff to work, arrange duties and a million other less obvious things. It is a giant jigsaw that has to come together by the trade session on Wednesday 18th January. With Christmas and New Year, it doesn't leave a lot of time and plenty of us will be dedicating some of that holiday time to ensuring there are no last minute problems. I for instance will be pulling some stuff together for some of the legal requirements that we have to follow, but then forgetting about it for a week or two. Hopefully. Those of you that are interested in the beer list can find it here, with foreign beers here and real ale in a bottle here. As always, genuine beer bloggers are considered as trade, so if you'd like trade session tickets and are a blogger, please let me know and I will arrange for them to be sent to you. 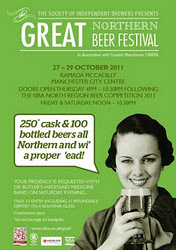 This really is a cracking festival with a great choice of beer, a friendly outlook and of course it is held in Manchester, one of the finest beer cities in the UK. What's stopping you? See you there then. I read a tweet the other day from some geezer or other. It was re-tweeted by someone else, as these things are. 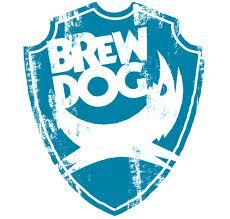 It said in essence that BrewDog are going to phase out cask beer from next year. I asked the originator, copied to the others, including I think BrewDog James, if that was true, but in the time honoured Twitter "being of the moment" and therefore transient, nobody has replied. 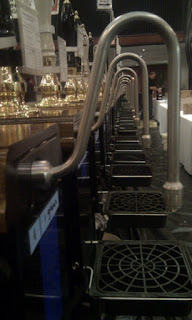 This morning I read on Pencil and Spoon of the opening of BrewDog Camden, which like the others offers no cask beer. Mark praises its reasonable prices (apparently you get change from a tenner for most bottles, so that's good) and compares it to Craft, which in my humble opinion is absolutely incongruous. 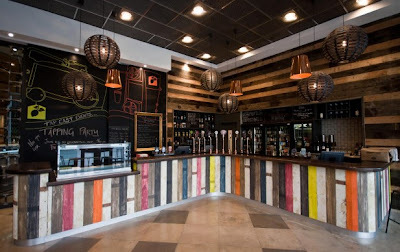 Limiting itself to keg beer, served in uber trendy surroundings, to skinny twenty to thirty year olds can never be compared directly to Craft, which has a much broader appeal, a much wider range of beer and beer styles and is above all, a pub and has all the inclusiveness you go to a pub for. It sells cask beer too, in case no-one noticed. As an aside, there is little doubt that some new bars (and Manchester is full of them) are great places to go and remarkably inclusive. A trip to Chorlton to see how it should be done is a must. Here in the Grim North, we do things differently it seems. Our trendy young people mix and match beers easily in the same bar and customers, while generally young, are leavened by the odd old git, happily enjoying the offer. Almost all of the really successful bars in Manchester serve excellent and well chosen cask to complement their keg offerings. That's good isn't it? I have wondered before and wonder again, just how successful the new BrewDog Manchester will be when it opens next year, offering keg only in such a cask bastion as Manchester? Anyway, I have wandered a little from my original point. BrewDog bars are different. They are in effect tied houses, that choose as company policy, not to sell the company's cask products. Now I will happily say that I think BrewDog's cask beer offerings are generally superb. I remember some wonderful pints of Trashy Blonde and Alice Porter. I really think they should do more, not less of them. While I might speculate that more profitable keg to offset less profitable supermarket beer is one reason, the real point of this is, does anyone know if the rumour is actually true? 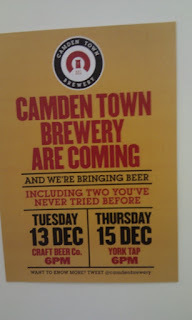 Amazingly I got an invite to the formal opening of BrewDog Camdem. Cool or what? Another day in London and another new beer bar. Both new to me and E and new(ish) overall. Fortunately, unlike some of the new bars which involve tortuous journeys across London by bus - trying but interesting - Tap East is relatively quick and easy for us. A quick stroll to Tower Gateway, a change at Canning Town to Stratford International DLR, pass the new Olympic Stadium and that odd piece of sculpture and you are dropped more or less at the door. Good old Docklands Light Railway, though the TFL site tried to send us by bus, ferry, pony express and camel train, and by an entirely different and wholly inappropriate route. But I digress. The Westfield Shopping Centre (or is it Mall?) is the destination. Out there in Olympic Land. Hop off the DLR, pass the Olympic athlete's village, go through the airport like ticket hall, look right and there it is. All glass fronted, wide open to the shopping centre (more of that later) and looking like a cross between Costa Coffee and an American Brew pub is Tap East. 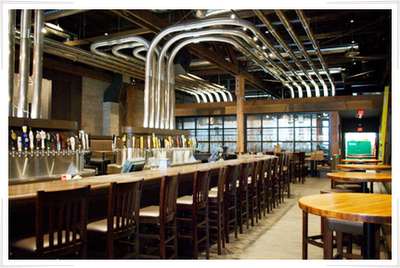 An L shaped bar, tables and stools, nice chairs and sofas, big windows. It is roomier than you'd think too and pleasantly laid out. Of course beer is the attraction but not being a geek, I didn't count the fonts for keg beer, nor the handpumps, but there was certainly enough to go at and my choice of cask beer included two from the brew pub, Thornbridge Kipling and Dark Star American Pale. I started with the Tap East Pale Ale (I think). Deeply bitter, with a good malt backbone, this was am enjoyable beer which perhaps needs a lighter more floral or tropical finishing hop adding, but was very drinkable indeed. Thornbridge Kipling followed and was in great nick. All it needed was a sparkler to make it perfect. There was of course, being an Utobeer outlet, a large array of bottled delicacies too. On a Saturday afternoon the pub was pleasantly busy. Being in a shopping centre, there is a natural degree of transience about the customers. People come and go, but that isn't an issue to me, as this aids people watching, a prime pub pastime. Downsides? Well yes. Being open to the shopping mall on one side, makes the bar feel more airport like than perhaps a dividing wall otherwise would. Being a bit more separate would also aid its identity hugely in my view. The other downside is the mall's musak, which is piped in at a volume that makes it impossible to tune out for long. The usual Christmas songs (on a one hour loop) must drive the staff to the point of distraction and certainly provide a degree of irritation for the customer. Service was quick and friendly and despite the fact that we sat with manager Glyn, looking around, it was just as good for everyone. We ate too; a doorstep sandwich for E and a superb pork pie from Borough Market for me. Just the type of thing you need from a pub in my view, being something substantial enough to blot up some beer without being stuffed. Glyn brought me a sample of the stout too, but this to my mind needed more work , being brown and not roasty at all. Talking of the brewery, this is clearly visible from the inside of the pub and is satisfyingly shiny. Overall Tap East is a pleasant place to be in, has a great choice of good quality beer (no warm, flabby cask here), is well run with pleasant staff and very handy for Waitrose and the DLR. What's not to like? Get along there and try it. We'll certainly be back. Top Tip: Avoid Westfield Shopping Centre by using the DLR. It seems the tube involves hoofing through the mall. I have written before about Schneider und Sonne, the renowned German wheat beer brewer. You can read my original article here, but I don't think I've ever drank any of their beers in the UK. Not until one night last week that was. 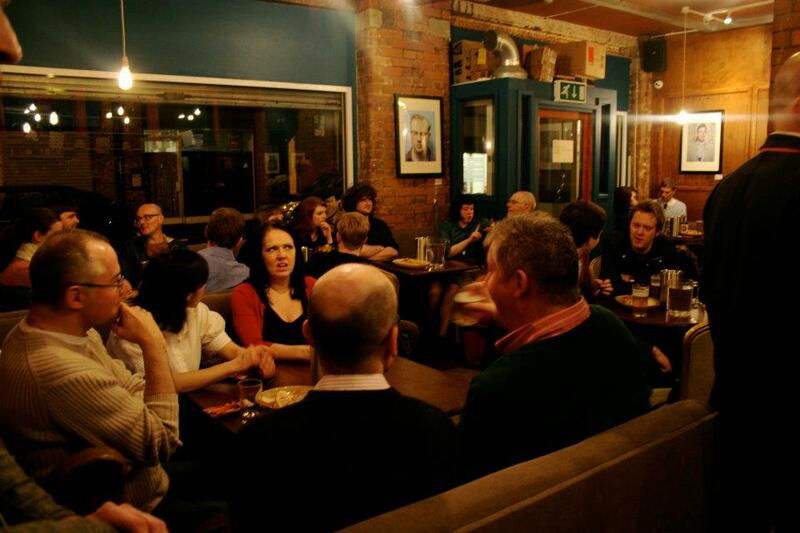 Much is written about the Port St Beer House and their beer tasting nights, but little of their older sister Common Bar, in the trendy Northern Quarter of Manchester. It was Common, an edgier, funkier, artier, music led type of place and haunt of pretty studenty young women and skinny, hairy, leery, gawky lads, that hosted a tasting of Schneider beers. This was held in what could be described as a back room, but since it looked out onto the street, plainly wasn't. 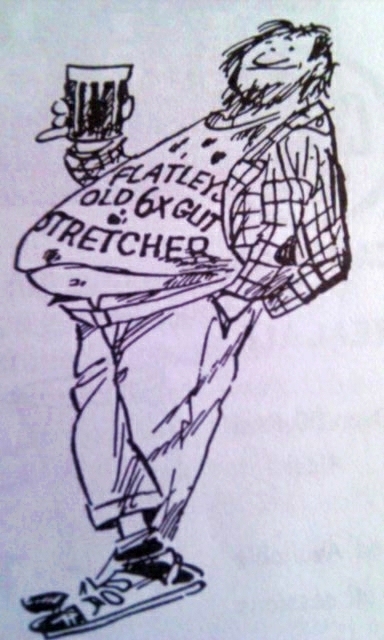 In our room, the audience was mostly young by my standards, so think late twenties, early thirties, but no doubt regarded as a load of old crinklies by the eager young crew next door. They all looked pretty damned serious. Until the beer flowed that is. What a leveller beer is and what a leveller it should be. This was billed as a "Beer and Cheese" evening and the cheesy part was hosted by a Swiss Cheese producer, but since there was no hand-out of what the cheeses were and the descriptions and names were rattled out at top speed, we'll pass on the cheese part for now and concentrate on the beer. Now Schneider only brew wheat beer, so all the beers were of that ilk. That's fine, because Schneider, unlike many other German producers have used their imagination more than a little, so subtle and not so subtle variations of the wheat theme were the order of the day. We started off, somewhat surprisingly, with their newest beer, a supposed "one off". Nelson Sauvin uses the hop of that name and is bottle conditioned in champagne style bottles. The beer is 7.3% and while some of the promised, flowers, kiwi and gooseberry could be detected, overall, I didn't think this worked that well. Still, interesting and more variations please. The basic premise is a good one. The beers came thick and fast. Next up was Mein Blonde, a traditional pale wheat beer that ticks all the boxes. Spicy, citrus, subdued clove and banana. A bit of Bavarian summer in a cold and grey Manchester. Kristall, is a filtered version. Clear as a bell and refreshing enough. Maybe it is just preference, but it doesn't do it for me in the same way a cloudy wheat beer does. Then my Schneider favourite and my drink of choice when I'm in The Weisses Bräuhaus in Munich. 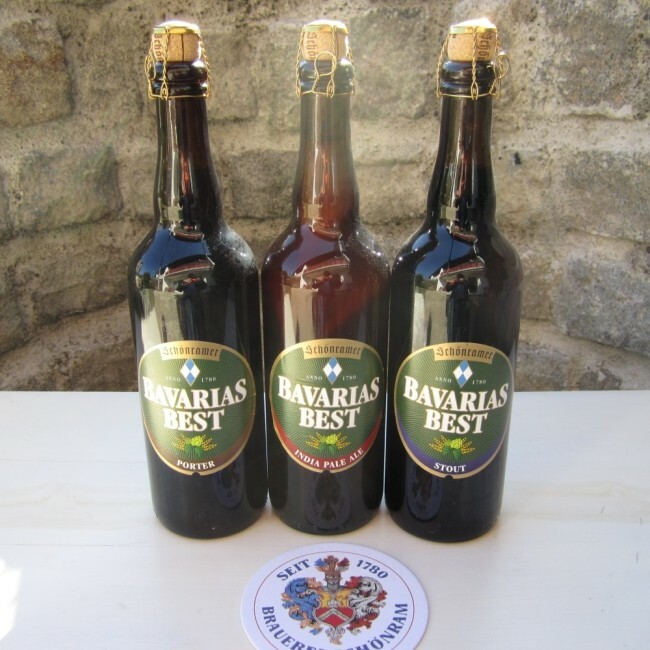 Original is said to be the recipe of the original wheat beer brewed by the founder. 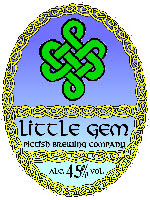 If so, it has been cleaned up in recent years and is now an outstanding wheat beer of great complexity. Bottle conditioned, it has the full banana, clove thing going without excessive sweetness, through to a bitter-sweet finish. A bit darker this one, but a cracker in every way for the wheat beer fan. I'm one in case you didn't guess! An odd interlude then. I don't believe I've ever ordered an alcohol free beer in Germany. 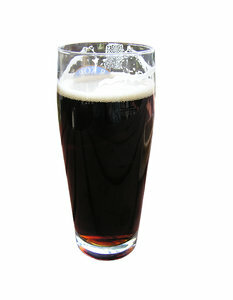 Mein Alkoholfreies is said to taste like "ripe corn fields, sparkling and malty-aromatic". Well, to me it tasted like unfermented wort, which is probably what it is. I wasn't alone. It was the only dumper on our table. Back to normality then with Aventinus, a dark, luscious doppelbock; oh an somewhere in between (by now the beer was taking effect and the noise levels were a notch below cacophony) we had Mein Grünes, another fairly new beer. Organic and 6.2% this has delicious lemony citrus overtones and traditional wheat beer spice. Very easy going to drink and refreshing too. This is another great beer and one which I will be drinking next time I'm in Munich for sure. Then the beer that knocked John Clarke's socks off. Hopfenweisse is heavily hopped with American "C " hops. It has a big booming taste to go with its big booming 8.2% alcohol. It is wonderful and dangerously and deceptively drinkable. 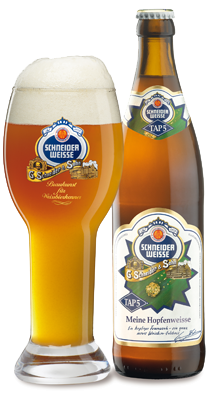 Schneider say "This extreme wheat beer shows how far wheat beer taste can go." Indeed it does. Oh yes. The cheese. I said I'd come back to that. Delicious though they were, they came in such minuscule portions that you couldn't really taste them with the beers. A touch more would have been nice and really have made it a food and beer matching. No such complaints about the beer though. A great night ended with a second shared bottle of the Hopfenweisse and we left having experienced what a great brewer can do with a style that most others merely produce to a single repetitive standard. Well done Schneider. Our experience was enhanced by our two charming table companions, whose attractiveness to us was enhanced in no small way by generous donations of beer to three old soaks. Young people today aren't all bad. After much nagging, led by me (I think) and supported by many others, the Dean Swift in SE1 sorted out their (lack of) cooling for its cask beers sometime back in what passed for summer. I called subsequently and the beer was much transformed and in a good way. Yesterday we nipped in again and found the cask beer in perfect condition and temperature. Oakham JHB was the beer and after one, a second was needed just to be sure. It was great too. That's gratifying. Now could they have a word round the corner at another well known venue? In the same area, both the Horniman at Hays and the Pommeler's Rest, both very reliable in the past, seem to have taken quantum leaps backward in cask beer quality. In the former, the hefty price should at least guarantee a tip top pint. Both these pubs are Cask Marque. Hmmm. The Beer Writers Guild do was good, with decent company and some good beer. I liked the Orange Peel beer from Wadworth particularly, as did Eileen, but we could have done with a bit more of it. My pre dinner tipple was Thwaites Wainwright. Re-racked bright, but still in excellent nick and very drinkable. Thwaites are doing a lot of things right and will likely continue to do so I fancy. The day after the do saw a nice invitation from Mark Dredge to visit him at Camden Town Brewery. Tyson and I set off in reasonably good time, but got lost and despite the good intentions of those that directed us onto various wrong buses, we made it, almost an hour later than intended. We declined Mark's kind advice to scale the fence to get in and were admitted more conventionally through a gate. 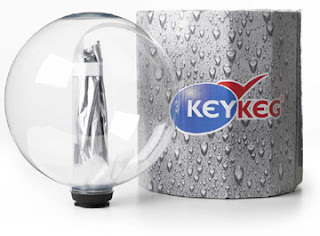 The brewery is spread under a set of railway arches and is bright and shiny German made stainless steel and mostly automated, with its own small kegging and bottling line. It is all carefully fitted in to the tightest of spaces. Beers on offer were the noted Camden Hell which was spritzy and refreshing. The Pale was lightly hopped and is apparently being tweaked at present. The two stars of the show for me however were the new stout, not yet released, so rather exclusive. Nitro kegged and very, very drinkable, with a clean, bitter taste, roasty malt and some sweetness. It should do well and of course, it knocks Guinness into a cocked hat. A German style hefe weizen, was deliciously bang in the middle of the style, while the Belgian witbier hit all the right notes. None of the beers are pasteurised, which certainly gets a tick in the box from me. The company was good too, with fellow bloggers Mark from Beer Birra,Beer making a late appearance and Fletch from Real Ale Reviews too, who seemed to materialise from nowhere, but as always was great fun to be with. They all were, even if these lads make me feel even more geriatric than usual! 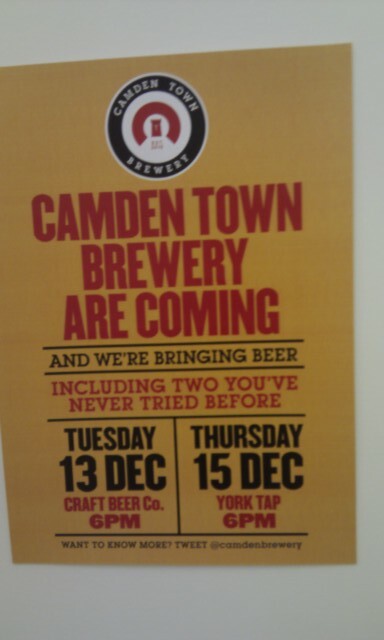 Camden are doing lots of things right. There is a dynamic enthusiasm there and most of all, the beers are bloody good. Drink them with confidence. Thanks to Mark D for the tour and the hospitality.